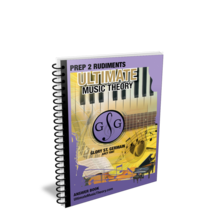 Prep 2 Music Theory Workbook includes UMT Guide & Chart, 12 Step-by-Step Lessons & 12 Review Tests to Dramatically Increase Retention! Prep 2 Theory Workbook has been added successfully to your wishlist. 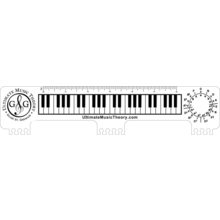 The Prep 2 Music Theory Workbook is an impressive coil bound, 9 X 12 workbook with 12 Lessons, Review Tests, Guide & Chart plus 80 Downloadable Flashcards. Prep 2 Music Theory Workbook features these concepts and more! Prep 2 Answer Book has been added successfully to your wishlist. 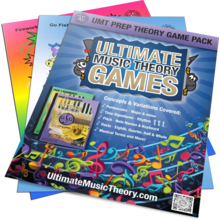 Prep Music Theory Game Pack has been added successfully to your wishlist. So-La & Ti-Do Stickers ($14.99) has been added successfully to your wishlist.